Did you know that the government pushed through revisions to the National Planning Policy Framework before it went into recess? The working group are awaiting a summary of these revisions. 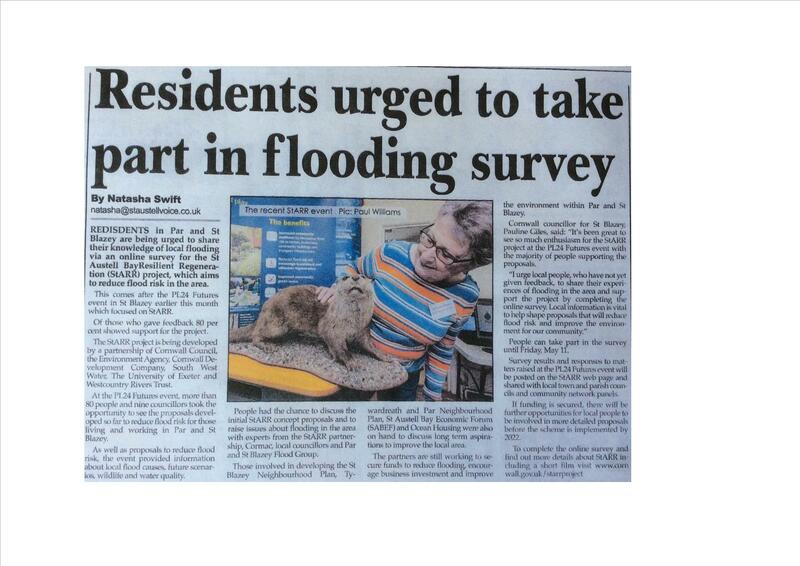 Local people in Par and St Blazey were invited to share their knowledge of local flooding by completing an online survey for the St Austell Bay Resilient Regeneration (STARR) project which aims to reduce flood risk in the area before 11th May 2018. 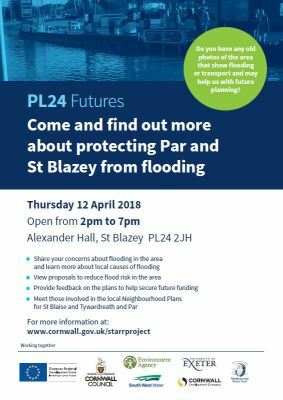 This request followed the successful PL24 Futures event in St Blazey on 12th April that primarily focused on STARR - of those at the event who gave feedback, 80% showed support for the project. The StARR project is being developed by a partnership of Cornwall Council, the Environment Agency, Cornwall Development Company, South West Water, The University of Exeter and Westcountry Rivers Trust. 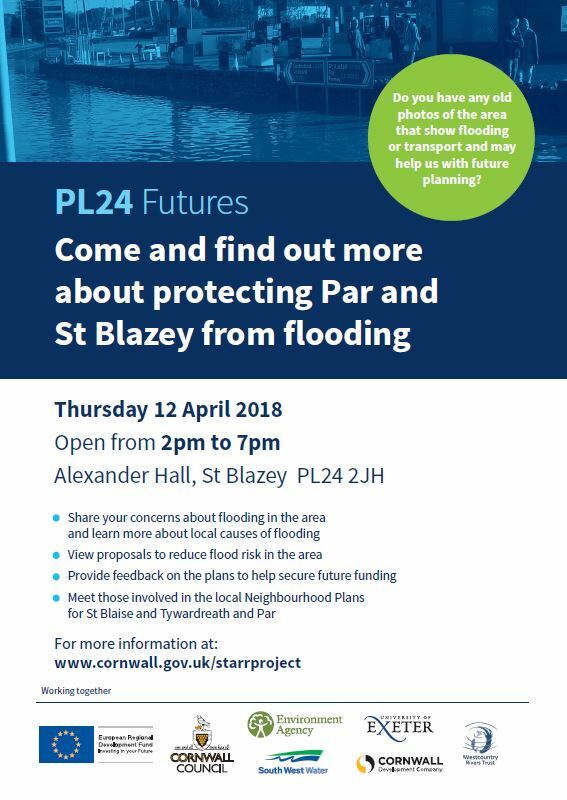 At the PL24 Futures event over 80 local people and nine local councillors took the opportunity to see the proposals developed so far to reduce flood risk to those living and working in Par and St Blazey. 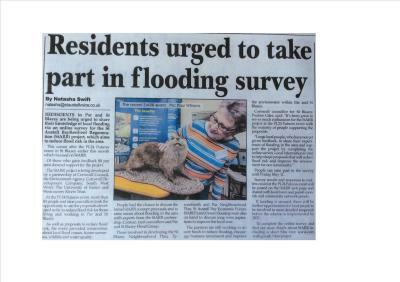 As well as proposals to reduce flood risk the event provided information about local flood causes, future scenarios, wildlife and water quality. 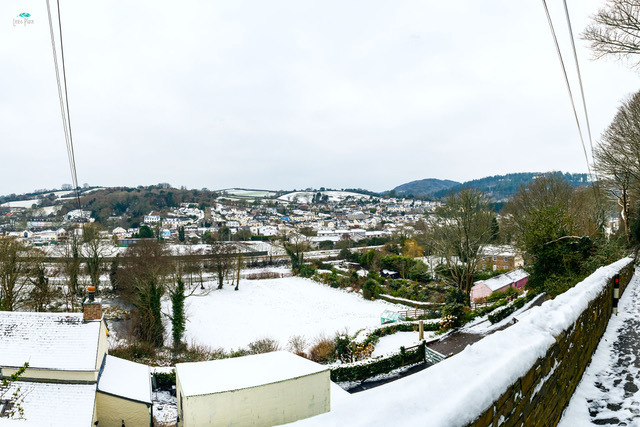 Local people had the chance to discuss the initial StARR concept proposals and to raise issues about flooding in the area with experts from the StARR partnership, Cormac, local councillors and Par and St Blazey Flood Group. Those involved in developing the St Blazey Neighbourhood Plan, Tywardreath and Par Neighbourhood Plan, St Austell Bay Economic Forum (SABEF) and Ocean Housing were also on hand to discuss long term aspirations to improve the local area. 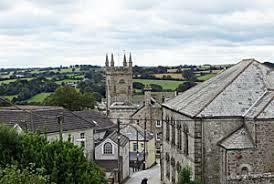 The partners are still working to secure funds to reduce flooding, encourage business investment and improve the environment within Par and St Blazey. People can take part in the survey until Friday 11 May. Survey results and responses to matters raised at the PL24 Futures event will be posted on the StARR web page and shared with local town and parish councils and community network panels. If funding is secured there will be further opportunities for local people to be involved in more detailed proposals before the scheme is implemented by 2022. To complete the online survey and find out more details about StARR including a short film visit: www.cornwall.gov.uk/starrproject .